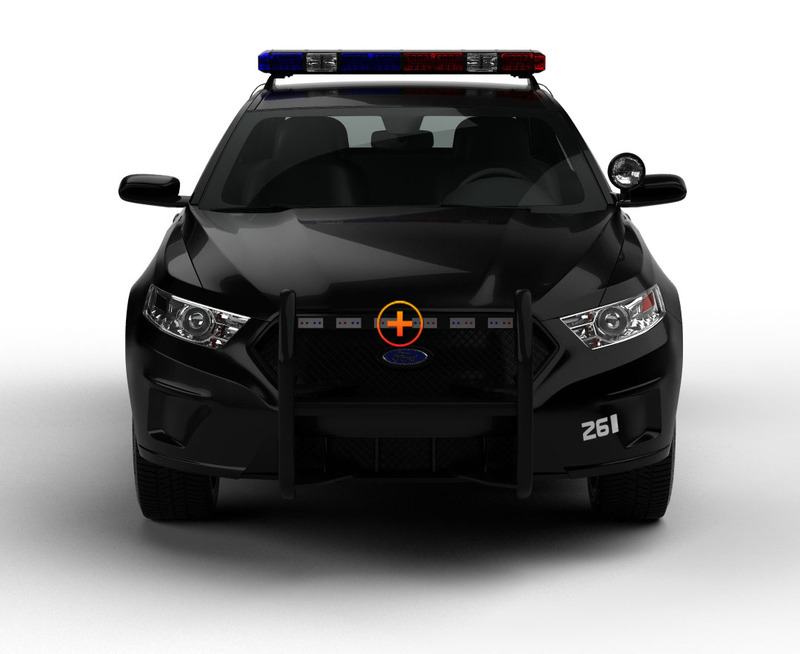 96 Watts of Light Blitz--that’s the Chameleon 8 Traffic Advisor--the phenomenal light bar that Extreme Tactical Dynamics has created for our professional first responders! Each of the 8 modules has 4 Generation IV 3-Watt LEDs making it the brightest of the Chameleon Series that allows you to change from Hot Response code colors to solid amber traffic directional lights with a push of a button the second you arrive at the designated location. The housing is made of sealed, heavy-grade aluminum; each of the 8 modules has Linear 1 Optics made of polycarbonate material that resists cracking and scratching and penetrates fog. 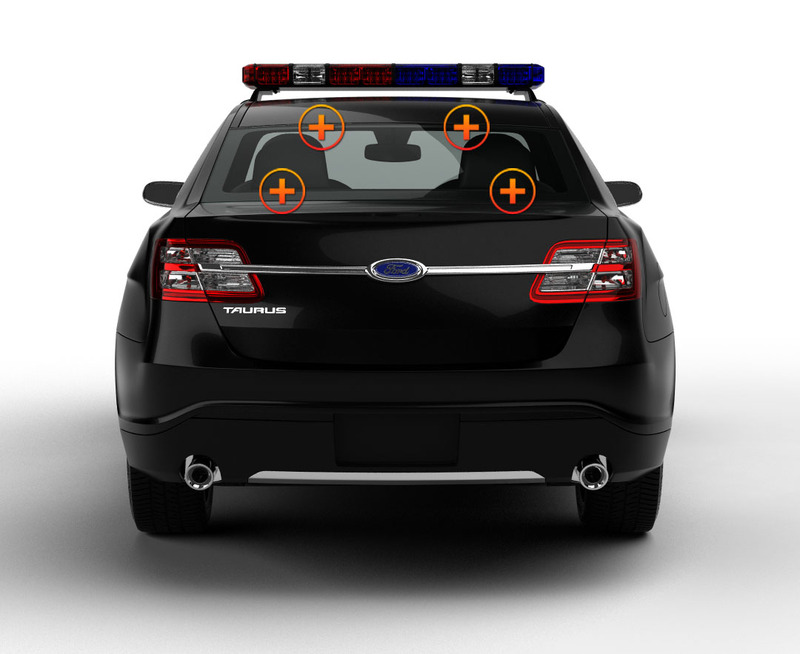 Included are 2 deck mounting brackets with 4 suction cups, but the Chameleon 8 LIN can be mounted on the exterior of your POV, SUV, police or fire emergency vehicles just as well with additional hardware because it’s waterproof. The powerful 8 LIN Dual Color Traffic Advisor will keep you and your vehicle well lit and will expedite any traffic management duty that you are assigned to do. It comes with a combination cigarette lighter power plug with a power switch for easy access to 2 controls--ON/OFF and Flash Patterns, and it can also be hardwired to any light or siren system already in place. The unit is easy to hardwire to a siren or light system already installed by following the directions in the Installation Guide section of Knowledge Base. Also, take a look at the Customer Video section to see how our many satisfied customers have installed ETD lights on their vehicles. And remember, our customer service department is here to help you in any way we can. Very Bright and functional. Does a great job. Pros: Everything! Cons: Nothing! What can I say really, this light has everything, built in directional traffic advisor, installed in the back window of my tow truck with no problems, and lets me do blue/amber to all amber in one system. Awesome and sturdy. Glad I bought it. 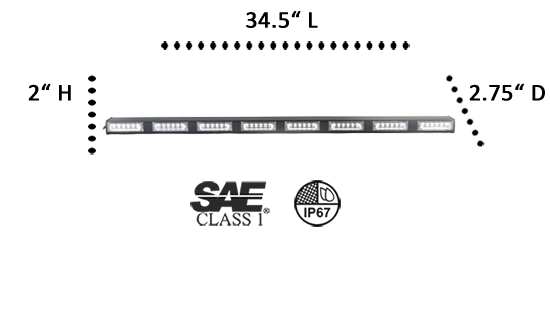 This light has raised the standard in light head capabilities multiple color heads should now be in all lights this bar is awesome. This light is by far the brightest light i have put on my vehicle. I highly recommend this light to anybody looking for a 2 in 1 light that shines like any other. I usually buy my lights from a larger online company and was worried about ETD but after i got this light and installed it, its the only place ill buy my lights!